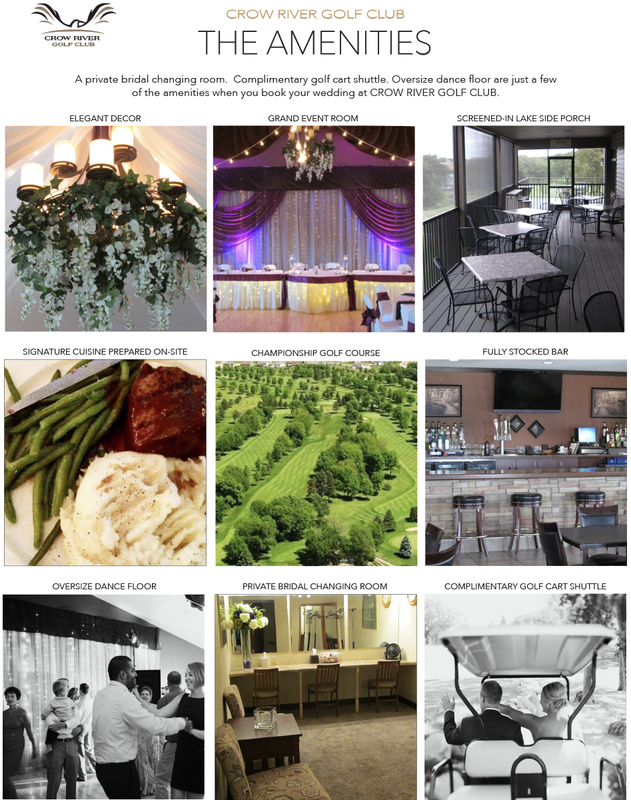 The Crow River Golf Club is the perfect venue for your next corporate meeting, seminar, or banquet. Our courteous, professional and friendly staff are available to attend to your every need. We specialize in corporate meetings and creative banquets including grooms dinners, anniversary parties, graduation parties and special occasions. However large or small your event, our attention to every detail will exceed your expectations! We have a large menu to choose from with several options for your event. Whether you are looking for a casual event with light Hors d'oeuvres, a sit down plated dinner or a delicious buffet, we would love to host your event and make it a memorable experience for you and your guests. For more information or to book a site tour, please fill out the below form or contact Brian Reckow at brian@crowrivergolf.com or (320) 587-3070.